As we prepare for the Sweet Sixteen stage of the 2018 NCAA Tournament, we remain with 4 ACC teams (Clemson, Duke, Florida State, Syracuse), 4 Big 12 (Kansas, Kansas State, Texas Tech, West Virginia), 2 SEC (Kentucky, Texas A&M), 2 Big Ten (Michigan, Purdue), and one from the Big East (Villanova), Mountain West (Nevada), Missouri Valley (Loyola-Chicago) and the WCC (Gonzaga). Aiming for their first ever Final Four (just one Elite Eight on their track record), Clemson are in the Sweet Sixteen for the first time since 1997. Brad Brownell’s guys beat New Mexico State and Auburn so far, led by Gabe DeVoe who scored 22 points in each game. One of two no. 2 seeds still in the game, Duke are in the Sweet Sixteen for a third time in four years, aiming to make the Final Four after missing out the last two seasons. Coach K, in his 38th season, got them past Iona and Rhode Island, with Marvin Bagley III their top scorer, dropping 22 points in each game. 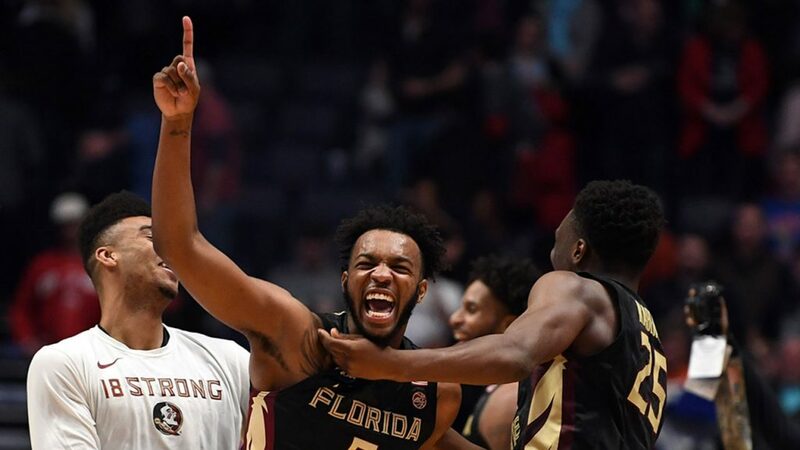 An at-large bid despite going 9-9 in the ACC, Florida State are in the Sweet Sixteen for the first time since 2011, only the second time in Leonard Hamilton’s 16 seasons with the team. They beat Missouri and stunned Xavier to get here, with Trent Forrest coming off the bench to score a total 24 points, surprisingly the most on the team so far in the tournament. The everlasting WCC champions, Gonzaga and Mark Few are in their fourth consecutive Sweet Sixteen, hoping to make it as far as last year – the program’s first Final Four and championship game. Their wins over UNC Greensboro and Ohio State were highlighted by Zach Norvell Jr. with a total of 43 points. One of the two remaining #1 seeds, the Jayhawks are here after another Big 12 championship, now in their third consecutive Sweet Sixteen, hoping to make the Final Four for the first time since 2012. 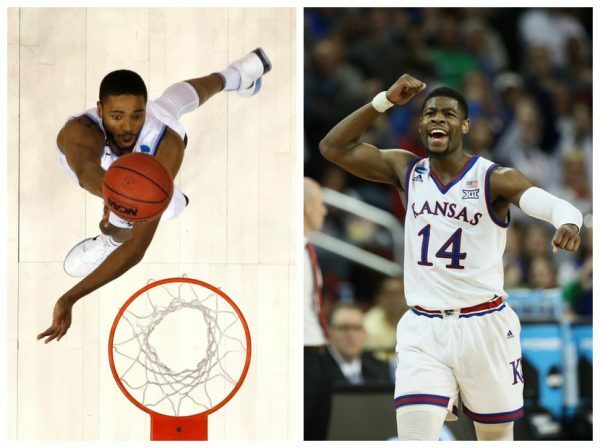 Bill Self led Kansas past Penn and Seton Hall. Malik Newman, averaging 19 points, is their leading tournament scorer. For the first time in the Bruce Weber era, KSU are in the Sweet Sixteen, their first since 2010, when they also made the Elite Eight (last Final Four was in 1964). The Wildcats beat Creighton and everyone’s favorite #16 seed UMBC to get this far, with Barry Brown scoring 18 points in each of the wins. The SEC tournament champions, Kentucky make it to the Sweet Sixteen for the 7th time in the last 9 seasons, hoping to make their first Final Four since 2015. In their wins against Davidson and Buffalo, an average of 23 points per game by Shai Gilgeous-Alexander led the scoring for John Calipari’s players. Tied for the lowest ranked seed remaining (#11), the Ramblers are one of the more surprising teams in the last 16. Tournament champions in 1963, but this is only the 4th Sweet 16 for the program and the first since 1985. Porter Moser’s players got past two top 25 teams on the way here: Miami and Tennessee. Aundre Jackson is leading them in the tournament with 14 points per game. The Wolverines beat Montana before their dramatic victory against Houston to put them in the Sweet Sixteen, their 4th since 2013 and including. The 1989 Tournament champions also have 7 Final Four appearances, two of them vacated. Charles Matthews is their leading scorer in the tournament with 15.5 points per game. An at-large selection after winning the MWC regular season, Nevada beat Cincinnati and Texas to get here, led by Cody Martin with 40 points overall in both games. Erik Musselman is leading the program to its second Sweet Sixteen ever (the previous one in 2004), and on the verge of the first Elite Eight, if the beat Loyola. Being in the ACC has its perks, and despite going 8-10, Syracuse made the First Four and now here, beating Arizona State, TCU and then stunning Michigan State along the way. It’s the program’s 6th appearance at this stage in the last 10 seasons, this time led by Oshae Brissett, scoring 15 points in each of the last two games. 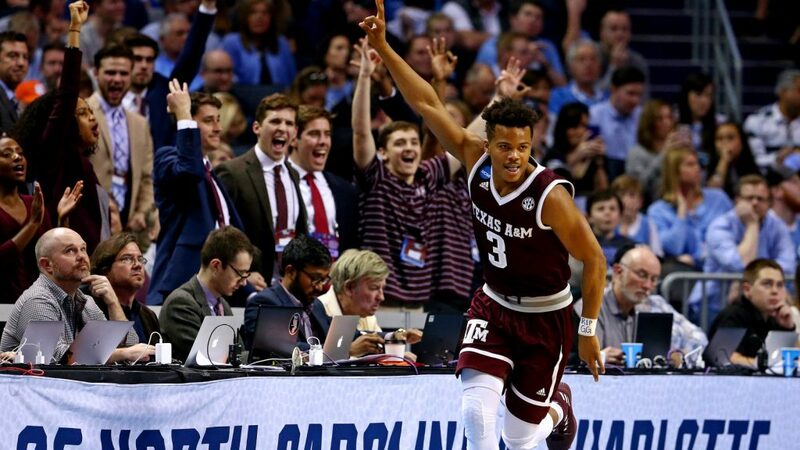 Despite going just 9-9 in the SEC and getting knocked out in the first game of the conference tournament, the Aggies made it in the tournament to squeeze by Providence and beat up North Carolina. T.J. Starks, with 36 points in both games combined, is their leading scorer. This is the team’s second Sweet Sixteen under Billy Kennedy and 6th overall. A&M have never been past this stage. The Red Raiders have never been past the Sweet Sixteen, and their last appearance was in 2005. So far they’ve beaten Stephen F. Austin and Florida, their go to guy being Keenan Evans in both wins, averaging 22.5 points. This is the 6th Sweet Sixteen for Villanova under Jay Wright. Last time (2016) ended with a national championship. The number one seed beat Radford and Alabama to get here, getting their biggest offensive contribution from Mikal Bridges with 18 points per game. Bob Huggins has taken WVU to back-to-back Sweet Sixteen appearances, something that happened before in 2005-2006 and 1959-1960. Getting past Murray State and in-state rival Marshall, West Virginia leaned on senior Jevon Carter with 24.5 points per game.